mini dirt motor bikes, be a part of the pocket motocross pack. Mini bike adventure – and were not talking toys. The popular rise of mini dirt motor bikes is undeniable and enjoyed by an ever growing army of offroad people. 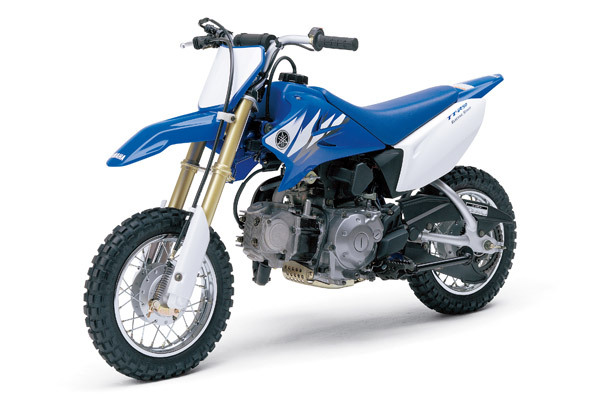 There are several things to consider when looking for mini dirt motor bikes for the over-16 group. The first thing, of course, is rider experience, which makes a big difference in the brands you will look at. There are several reasons why this is important. Anyone over 16 that has yet to ride a dirt bike or any kind of motor bike may not take a liking to it and the bike will turn into a dust collector in the corner of the garage. If a person is over 16 with a bit of experience, it shows enthusiasm and likely appreciation of a good bike. Dig out the credit card for those over 16 that are amazing riders, as they have earned something great. Honda is on the pricey side, but delivers dependable mini dirt motor bikes, largely thanks to employing many of the best technicians and engineers in the world. The Honda CRF100F is fun to ride, thanks in part to the great suspension. Shifting is easy and it has a comparatively quiet noise level. Designed for shorter, lighter riders less than 135 pounds, the height situation is handled with higher handlebars. New or inexperienced riders will benefit from the slower action, loving trail rides and succeeding on less stressful motocross tracks. 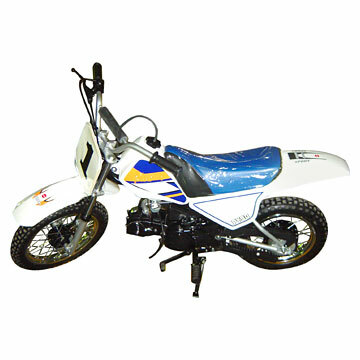 A decision to buy one of the Chinese or Korean clone mini dirt motor bikes for the 16 and older rider is very easy. They are less expensive and still deliver good handling and easy riding. Parts are easy to find. The bike is cheaply built, but quick to upgrade so it is safe and fun to ride. If someone in your family is going to be your riding partner, the 2012 Honda CRF150R is an ideal bike. Upgraded to provide steady riding regardless of elevation or temperature, taking it out for a ride will remind you all over again why this company continues to earn respect for its mini dirt motor bikes and performance. Also don’t forget the old Honda 50 either if your hankering after some fun in the sun. Not a competitive bike for the over 16’s that’s true, but ideal for messin’ with your buddies. 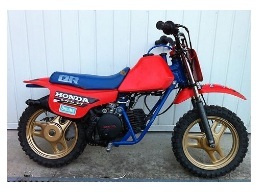 The mini dirtbike is quite recent, as is the chunky pitbike as it’s sometimes called. There are various "mini" bikes and the mini dirt bike is just one of these. Of course this type of bike has better suspension as it’s used for jumps, and beefy knobbly tires for off roading to deal with the mud and gravel it will encounter. Mini dirt bikes are great fun, and amazing value so go and get involved today, or go as a spectator to one of the events or races. Dirt bikes since the sport began have been of a regular size, until around the 60's when riders began experimenting with smaller motorbikes – and the sport took off. But now with models like the thumpstar 110cc motorcycle and the bulldog pit bike many riders are looking at the mini dirt bike again and seeing them as motorcross gifts for their children and as a cheap source of getting on the MX track. With mini dirt motor bikes – you can do that. SDG & Orion pit bikes have gathered a swelling number of california riders to their fanbase, and indeed throughout the world. Plus other manufacturers are adopting a serious look at the mini motocross market with a passion to claiming their chunk of the market. No longer just a toy, Suzuki, Honda & the legendary Yamaha PW50, and other brands have become a fun way to operate a kids championship in your own backyard. You’ll still need a MotoX helmet and possibly a pair of motorcross boots for the trails n' circuits you and your friends create. Forget about the "toy look" of these motorcycles and treat them as the real deal from the get-go. Mini motorcross parts are cheap, from a new suspension arm to a simple chinese part for a non-branded model. You will find restoration not so heavy on the pocket - which is why those on limited funds can still enjoy the thrills of dirtbiking. Still seek out tips, on how to ride your small racing bikes. You don’t want to look like a novice or a dirt bike annie. The 50cc mini dirt bike is a very popular ride. These MX pocket bikes have lightness and lots of speed. True - 50cc moto-crossers are the most common which also makes them available at low cost particularly when offered used. 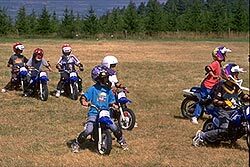 Pocket dirt bikes are bought by both kids and adults; as they are cheap enjoyment for quite little money. 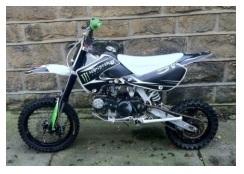 When you buy your mini dirt bikes check the engine over - listen to it – when was it last serviced? Are there any receipts for work done? and most importantly KNOW the brakes are in working order – which can only be done during a test ride. Mini dirt motor bikes are the best way into motocross.